Eidsvoll-Hamar is one of the busiest single-track sections in Norway. Upgrading the entire route to double-track will reduce the journey time for passenger trains between Oslo and Hamar down to one hour, and double the number of train departures, with fewer delays. On the Dovre Line between Eidsvoll and Hamar, it is not possible at the moment to run multiple trains when demand is at its peak without affecting the punctuality and speed of the trains. By upgrading the line in stages, it will be possible to benefit gradually from the increased capacity as new stages are completed. 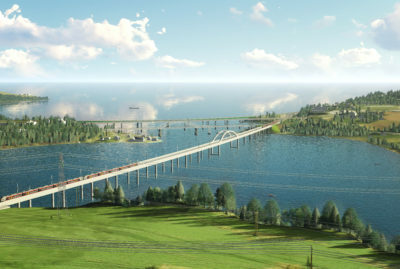 On the section from Kleverud to Sørli in Stange municipality, a completely new double-track section will be built, as well as Tangen Station and Norway’s longest railway bridge. The old railway line around Tangenbukta will then be decommissioned. Aas-Jakobsen is the lead consultant and contractual party for the client Bane NOR and will implement the project in collaboration with its network and a number of long-term partners. Aas-Jakobsen is in charge of the engineering management work, assisted by Vianova Plan og Trafikk, and Aas-Jakobsen is also responsible for the structural engineering, construction engineering and interdisciplinary coordination. The route for the double-track section between Kleverud and Sørli was selected in 2009 when the municipal sub- plan was finally completed. The zoning plan for the three kilometre long Hestnes Tunnel between Kleverud and Espa at the south end was adopted in November 2010, while work on the zoning plan for the rest of the section started in 2015 as part of Aas-Jakobsen’s Scope of Work. In the spring of 2016, the zoning plan from Espa to Sørli was submitted for public review, and on 22 June 2016, the plan was adopted by the Municipal Council of Stange. Some preparatory work will begin in the autumn of 2016, and construction work is scheduled to start in 2018. The double track will be commissioned in 2023. 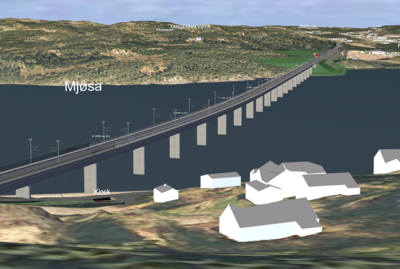 The new double track from Kleverud and Sørli will be 15.8 kilometres long. This includes a three kilometre long railway tunnel and the longest railway bridge ever to have been built in Norway. At 1070 metres, the bridge will connect Espa with the Tangen peninsula. A completely new station area will be built north of the current Tangen Station, with side platforms for northbound and southbound trains and a passing track in the middle. Aas-Jakobsen and its network and partners have prepared the technical detailed design and zoning plans for the project, which have now been accepted. 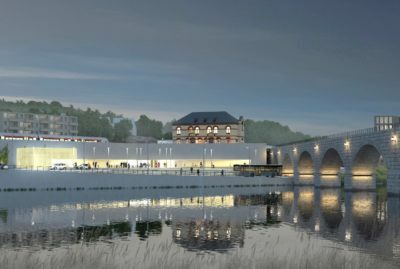 We will have been involved in the project from concept selection in the master plan until construction starts next year. We are looking forward to carrying on with the project as the Contractors consultant on the upcoming Engineering, Procurement, and Construction (EPC) contract. Preparation of the master plan, technical detailed design and zoning plan, and instructions for competitive tendering for the EPC contract.